Some call it a rest day, some acclimatization day. I’m leaning towards the latter as our schedule for today really does not have much rest incorporated in. 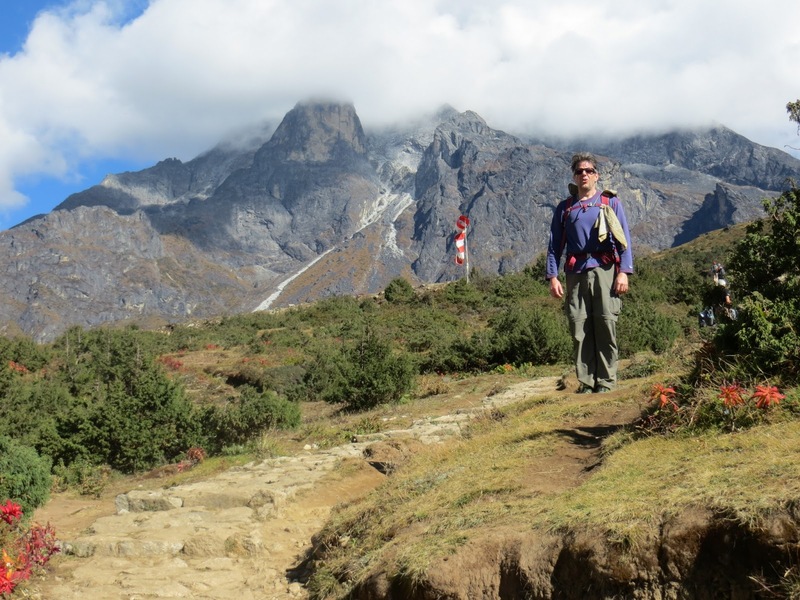 Our first stop is a viewpoint with an outstanding view ofAma Dablam. 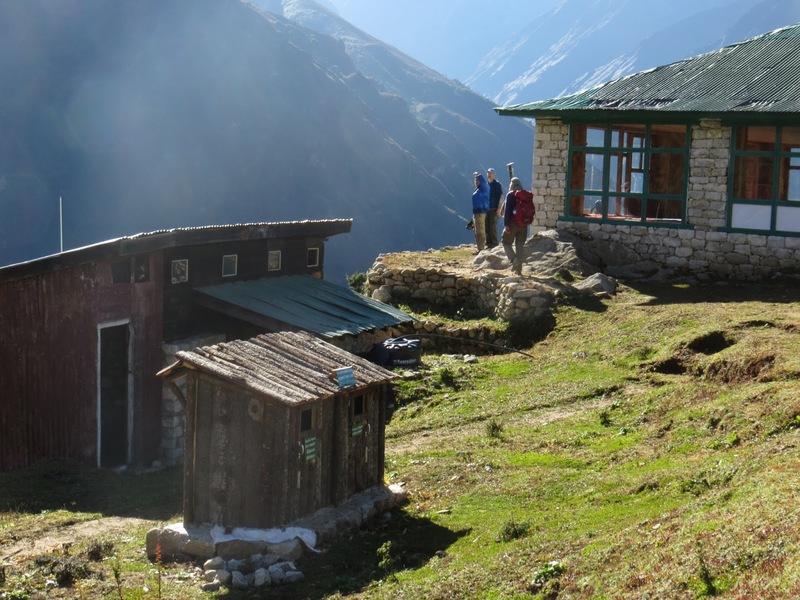 From there we ascent to 12,500 feet where we enjoy a cup of tea inEverest View Hotel, one of the most expensive lodgings one can find in thearea. 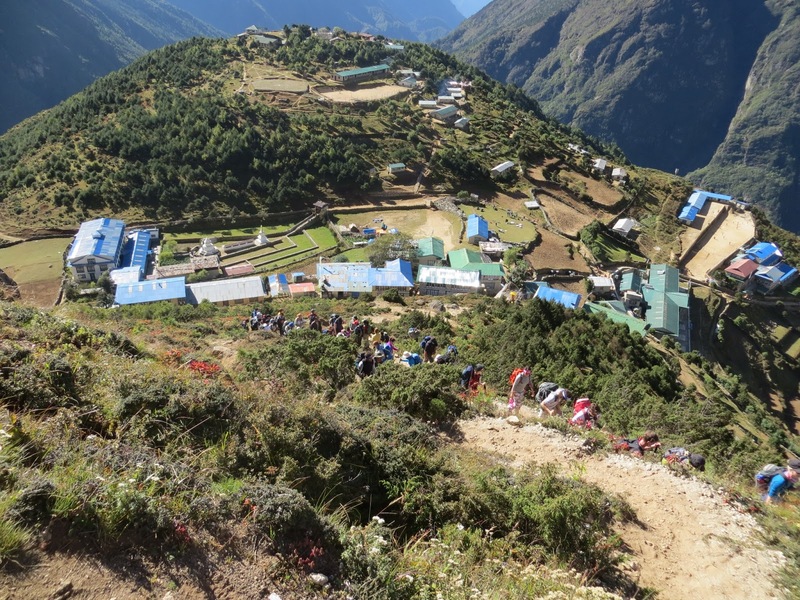 The 300 feet climb to get there is on a steep but well treaded path.Looking down we see a constant line of people braving the incline. 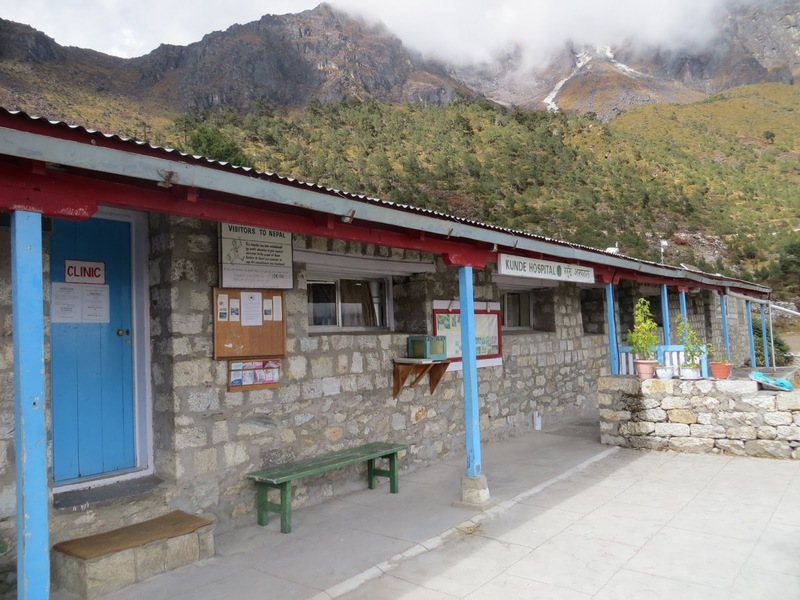 The prices on the menu are just as steep as the accommodation here (rooms start around $350.00 a night) but it’s not everyday that one can sip on a cup of tea on a terrace overlooking the highest mountain in the world so we pay the premium and enjoy the views. 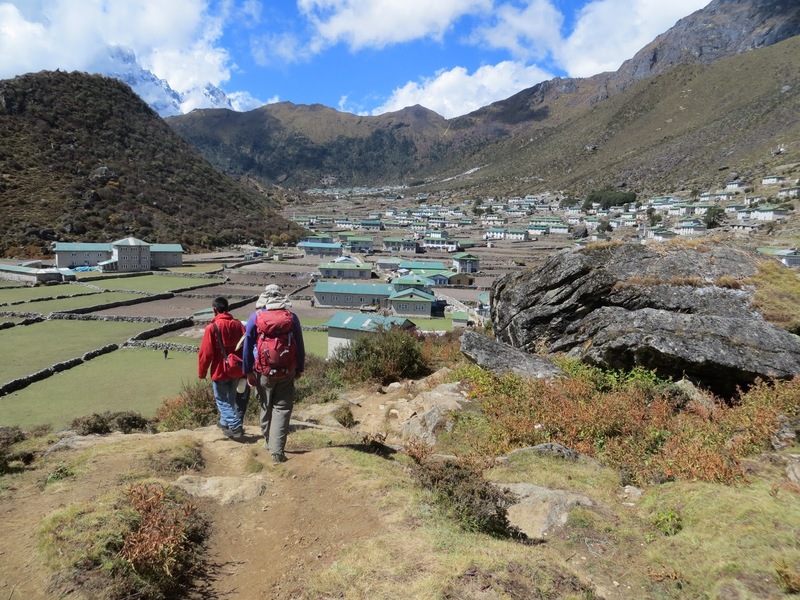 Afterwards we continue towards village of Khumjung where a monastery claims to hold a rare Yeti skull, and later we visit Khunde, home of local hospital. The valley also gives us opportunity to observe bits and pieces of everyday live. Women are sitting in fields shredding potatoes which they then let dry on sun. Dorji tells us these shreds are an important staple during wintertime. Another popular activity is forming large discs from yak dung. There is not a fence in sight that would not have them plastered all over. Once dried they are a source of cheap fuel. 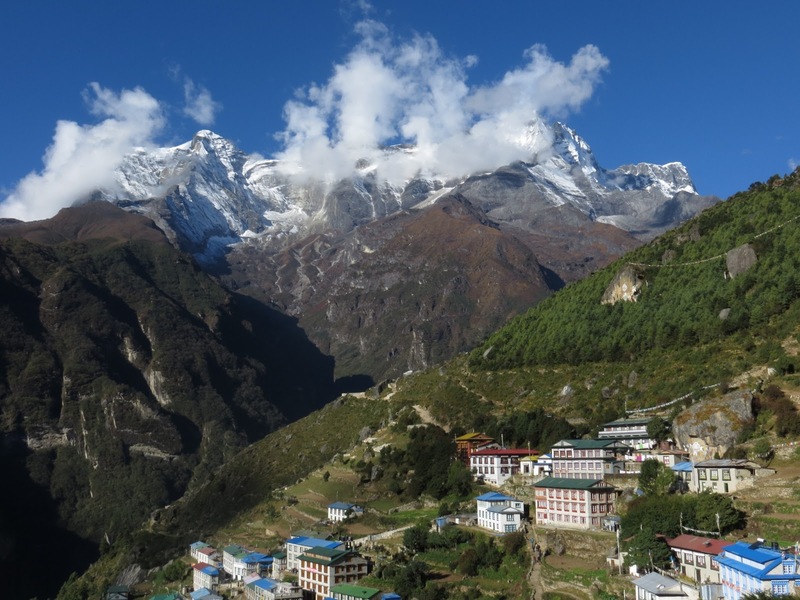 Once back in Namche, we still have a reasonable portion of the day left. Somebody recommends a German Bakery which we find just a staircase above our hotel. It’s good. The hot chocolate is thick and pastries as delicate as you can wish for in this elevation. So far the altitude did not kill my appetite. It’s probably a good thing but little weight loss would not feel bad either. 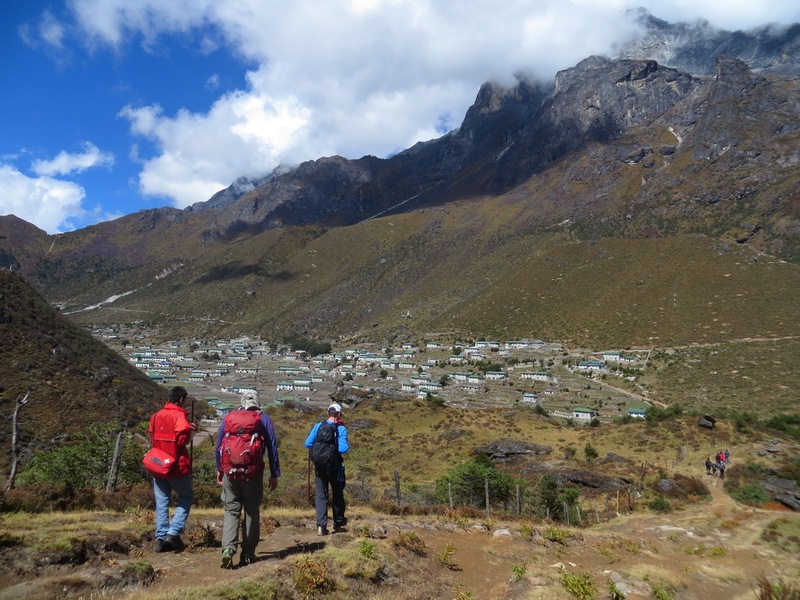 Part of our acclimatization trip was a visit of a local hospital. Luckily none of us needed it. 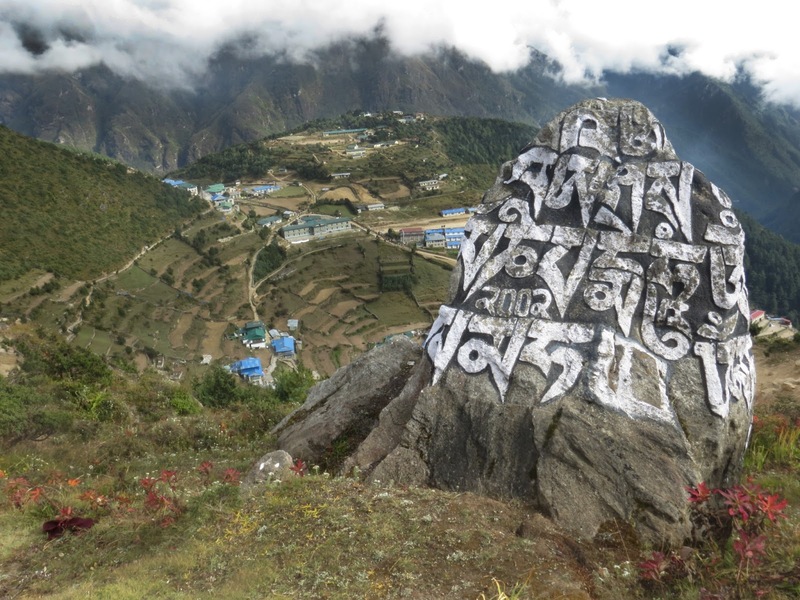 Mantra Oh mani a padme hum written on a rock overlooking Namchee Bazaar.